We consider the importance of poet W.B. Yeats to the Irish soul, and discuss real-life English destinations that let you experience the world of Agatha Christie's mysteries. And just in time for Burns Night, Scottish troubadour Jim Malcolm explains what Robert Burns' poetry means to the Scots, and sings some favorite Burns tunes. Stephen recommends the ongoing exhibit on W. B Yeats at the National Museum of Ireland in Dublin, which includes an online component. Barry suggests visiting the Yeats poetry at Coole Park. Barry Moloney conducts walking tours of historic Kinsale in County Cork. Stephen McPhilemy operates the Milltown House mansion on Dingle Harbour (which actor Robert Mitchum once owned) as a luxury guesthouse. Information about sites associated with Robert Burns, his poems and lyrics (with English clarifications), and instructions for holding your own Robert Burns Night are on the Robert Burns organization's website. Jim Malcolm's website includes occasional blog entries, samples from his CDs, his video portrayal of Robert Burns, called "Bard Hair Day," and his winter 2018 concert tour schedule of the U.S. West Coast, from January 25 in San Diego, through a February 18 concert in Bellingham, Washington. 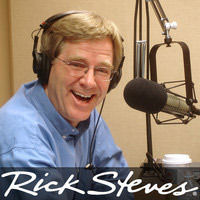 You can also listen, on demand, to Jim Malcolm's 2014 appearance on Travel with Rick Steves program #363 in the Travel with Rick Steves program archives. Wikipedia provides a complete bibliography of the works of Dame Agatha Christie. Agatha Christie's play "The Mousetrap" continues as the longest-running play at St. Martin's Theatre in London. You can visit Agatha Christie's house at Greenway, which is managed by the National Trust. The next International Agatha Christie Festival is planned for September 15, 2018 in Torquay, on the "English Riviera" in south Devonshire. There is a longer festival planned for 2019. DVD sets and online streaming of the most recent editions of Agatha Christie's "Miss Marple" series, starring Julia McKenzie, and Agatha Christie's "Poirot," starring David Suchet, are available from Acorn.TV and air often on public television in the US.